We are excited to announce that we have brought on Mike Relf as Operations Director to help further enhance the management team. He will support the continued growth of Littlefish and its priority to deliver a market leading, high quality service to existing and future customers. 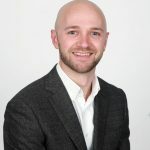 As Operations Director at Littlefish, Mike will have a primary focus on making sure the services delivered meet the high expectations of its customers both current and prospective, as well as evolving the service portfolio and capability in order to maintain a market-leading position as the organisation continues to grow. Mike joins Littlefish from Capgemini where he held a variety of roles including Global SIAM Lead – managing its IT outsourcing relationship with Rolls-Royce. Prior to Capgemini, Mike worked in a variety of positions at Atos, the highest profile of which was running IT and broadcast operations as part of its outsourcing relationship with the BBC. Before this, Mike worked at Computerland and was an instrumental part of the team that won a prestigious contract with O2. Littlefish is an award winning and rapidly growing Managed IT Services Provider. Through a focused growth plan we have become an established and credible alternative to the ‘usual suspect’ large Multi £Billion Managed Service Providers and IT Outsourcers in the mid-market and enterprise. Our Managed IT Services portfolio includes Service Desk, End User Compute, Infrastructure Management, Intelligent IT Automation, Cloud Platforms, and IT Consultancy. We deliver our services to over 25,000 users across the world for a wide variety of organisations, spanning both the private and public sectors, and including, Farrow & Ball, H Samuel/Ernest Jones, Studiocanal, the National Audit Office, and The Houses of Parliament. As our customers have operations across the globe we have the capability to deliver multi-lingual support services. Through investment in enterprise-grade people, processes, and tools, we ensure that our customers consistently receive a market-leading service that is independently verified as world-class, and delivered by people who genuinely care.